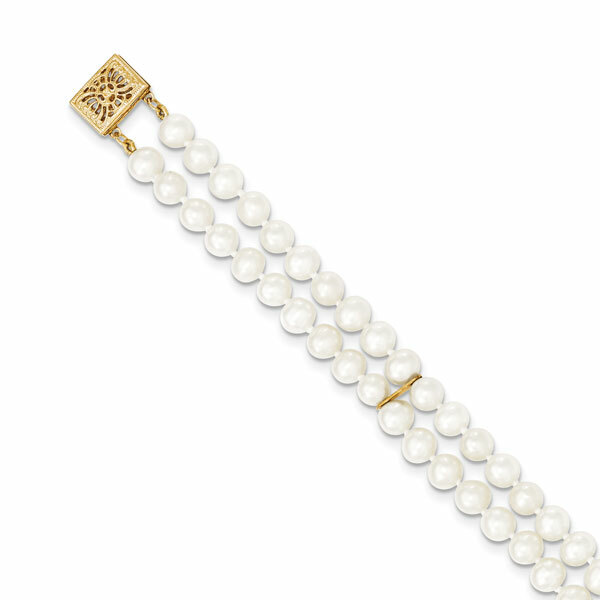 Fall in love with a fun twist on a single strand pearl bracelet with Apples of Gold Jewelry's 2-strand cultured freshwater pearl bracelet in 14K gold! 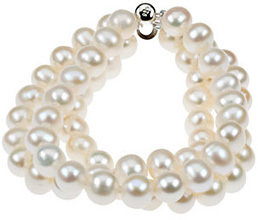 The double strand pearl bracelet features two rows of creamy white, genuine freshwater cultured pearls, each of which measure around 5-6mm in size. 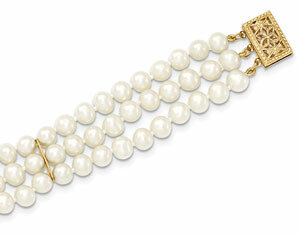 The bracelet has a length of 7.5", and features 14K yellow gold clasps and accent bars. The clasps are detailed, with almost a floral design. This gorgeous bracelet is perfect for those who are looking for something a little different, but still love the look of pearls! 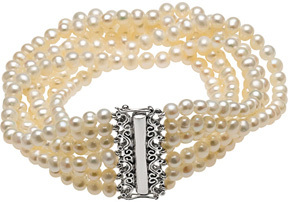 We guarantee our 2-Strand Cultured Freshwater Pearl Bracelet, 14K Gold to be high quality, authentic jewelry, as described above.